It is with great joy and satisfaction that Manbin and I share with you Monteverdi Spirits' first creation: Nocino della Cristina. The pages that populate our website afford visitors insight into who we are, what we do, and how we got here. Please feel free to contact either of us with your thoughts, questions or inspirations. - Highly Recommended - "Who says America can't make superb artisanal liqueurs?" SUPERB (90-95)/Highly Recommended - "Stately, concentrated, luxurious." "Incredible... Nutty, spicy, fruity and incredibly well-balanced. A great product." 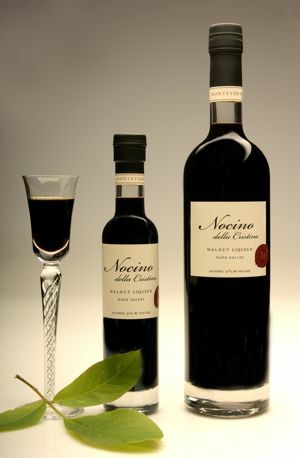 "One of the most exciting liqueurs to come out of Napa in years. A truly exceptional product."